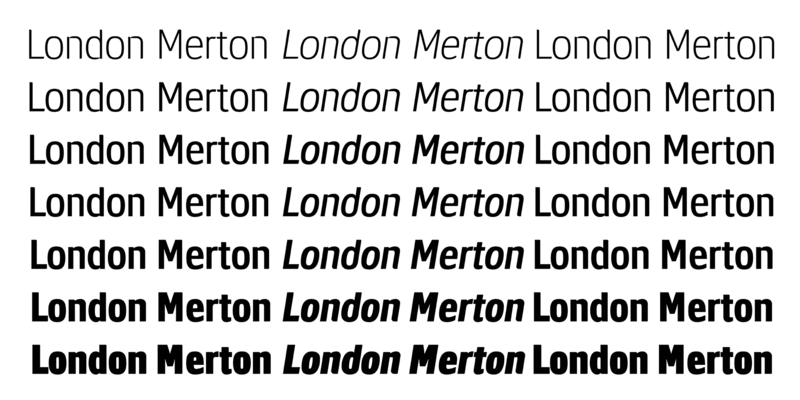 LDN Merton Sans started out as a design by Paul Hickson’s wife Pat, a typeface from the 1970’s called Modern Lightline. This was based on an old ATF design called Lightline Gothic published by Face Photosetting. 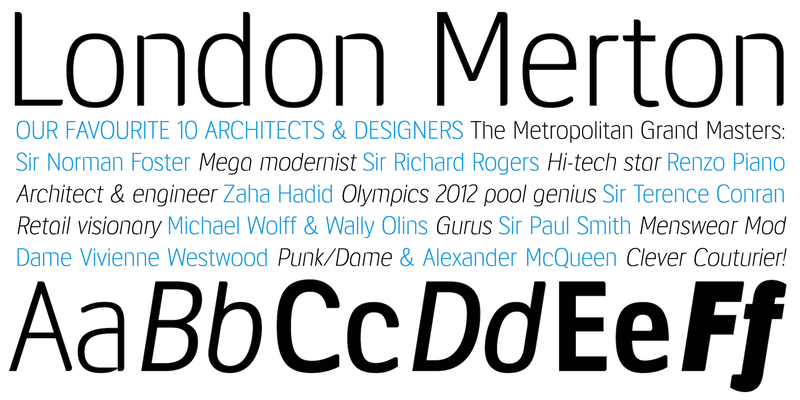 LDN Merton Sans is an ultra modern neo-humanist sans brimming with distinctive characteristics: open apertures, short descenders and a large x-height which boosts legibility. 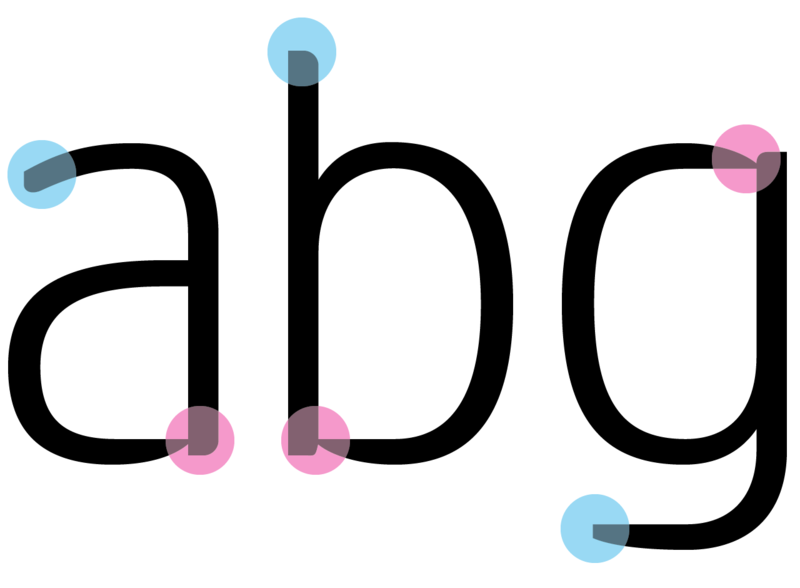 Of particular note are the lower case stroke junctions in certain glyphs (a, b, d, g, h, m, n, p, q, u), more prominent in the lighter weights, where the horizontal stroke narrows sharply as it meets the upright, optically piercing the vertical stem. The fonts also feature a variety of terminal styles, some angled, some chamfered and others curved. Different terminal styles even co-exist on the same glyph in certain cases. Italic styles are bundled free with their respective uprights offering great value for money. 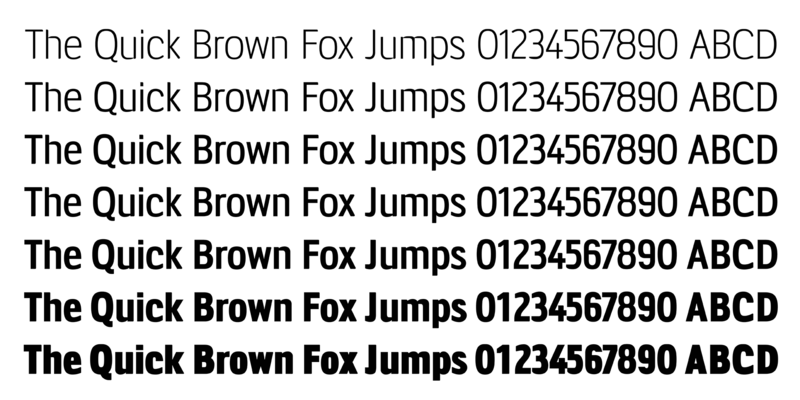 Take the fonts for a test drive further down this page. Click below to select the licence option you require and purchase the font for immediate download. Desktop fonts are in OpenType format for use on Mac & PC computers; web fonts come in WOFF2, WOFF & EOT formats for self-hosted websites. Please note that if you require a larger desktop/web licence, or a digital embedding licence (mobile apps, ePub etc) please email us for a quote to cover your needs. © 2019 London Type Foundry All Rights Reserved.